Aberdour Castle is located in the quiet village of Easter Aberdour in Fife, and it’s notable for being one of the oldest standing castles still remaining in Scotland. Built in the early 1100’s, the castle is built around a hall house which was gradually extended over several centuries, and although a large portion of the early structure is in ruin the later complex of buildings are in remarkably good condition thanks to the efforts of Historic Environment Scotland (HES) who now maintain it. As the castle is so close to Edinburgh it’s an easy journey across the Forth Road Bridge to visit it, so if you’re in the Edinburgh area there’s no reason why you couldn’t include Aberdour in your itinerary, and a visit to this piece of Scotland’s rich history is worth the journey not only for the castle itself but also for the manicured gardens which surround it. 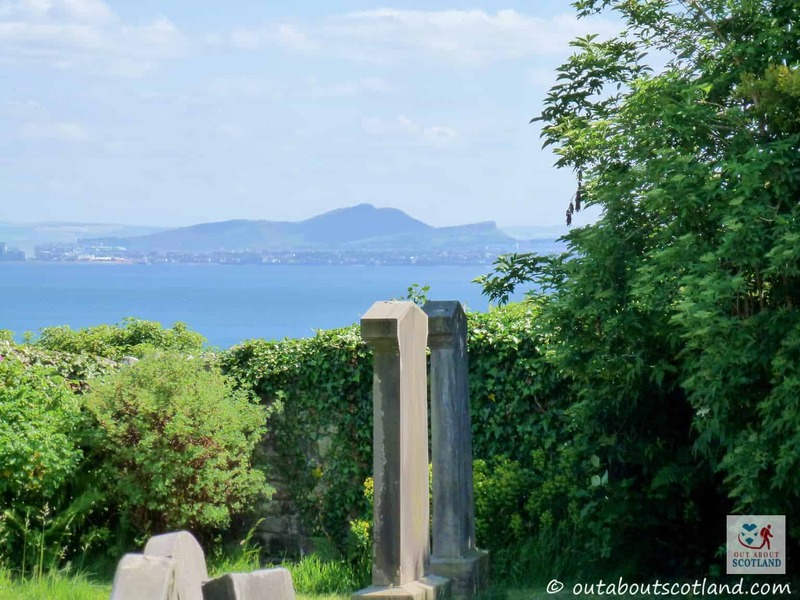 There’s a fragrant walled garden to the east and an equally nice terraced garden to the south, both of which are extremely peaceful to walk around, especially on a summer day – so relaxing after experiencing the mania of Edinburgh city centre. If you’re a fan of the Outlander TV series then you’ve got another reason to visit Aberdour – it was the setting for Sainte Anne de Beaupré’s monastery in France in the last episode of season 1 where the Old Kitchen and Long Gallery were both used as filming locations. The official Visit Scotland website has got a really good location map if you want to include Aberdour into a tour of the Outlander filming sites. 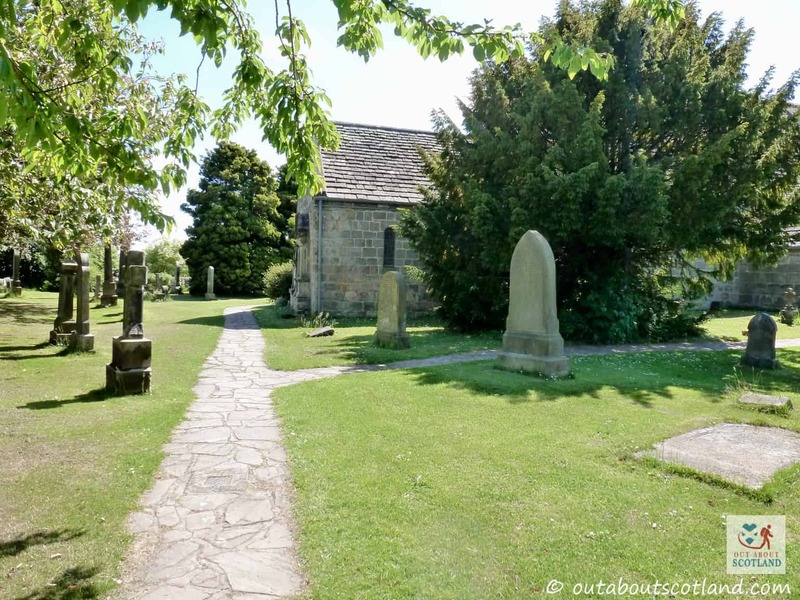 Next door to Aberdour Castle is St. Fillan’s Church which is another medieval building that’s worth taking a peek inside. 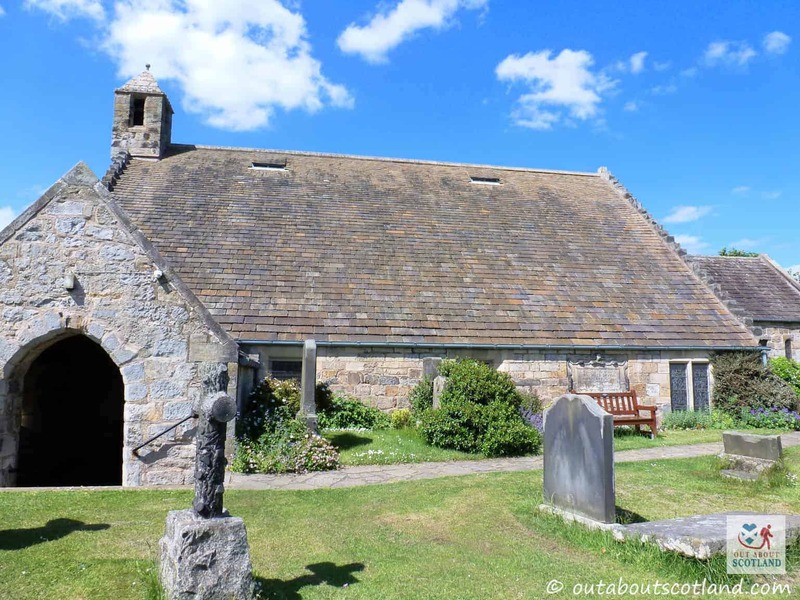 Also built during the 1100’s, St. Fillan’s Church is an interesting little building which offers some really good views across the Firth of Forth towards Edinburgh, with the rising Pentland Hills nestled on the skyline behind the city. And once you’ve had enough of history and taking photos of the scenery you can head back to the castle for a light lunch in the cafe which overlooks the terrace (take note – the home baked cakes are properly yummy!). 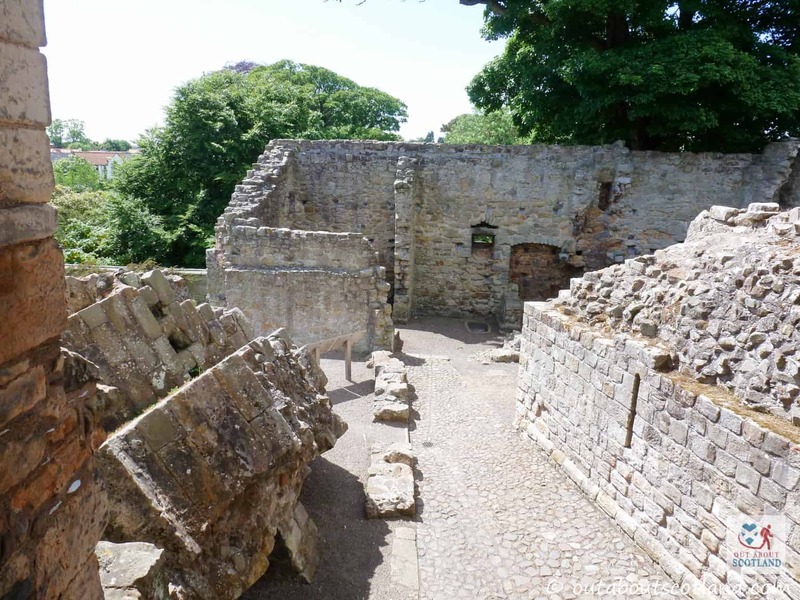 Although Aberdour Castle isn’t particularly big there’s more than enough activities to keep a family occupied for a few hours thanks to the castle interior, gardens and church, but you’ll probably want to start your visit with a walk around the castle interior. 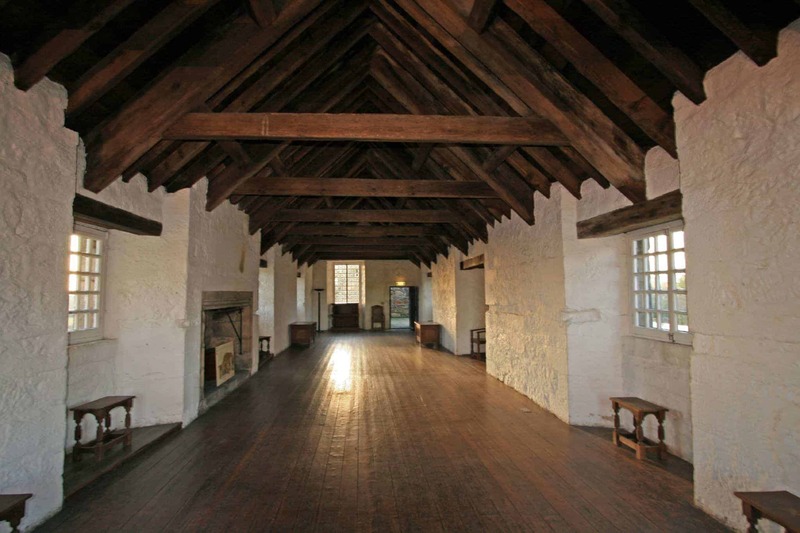 As mentioned earlier, the hall house is one of the oldest surviving structures of its kind in Scotland (the other is Castle Sween in Argyll) and there are some interesting points of interest to take note of as you make your way around the buildings. Firstly there’s a very nice painted ceiling in the east range which dates all the way back to the early 1600’s which is well worth taking a look at, and if you move on into the Long Gallery you’ll get a really good insight into how medieval Scottish castles would have looked back in the day. While it’s quite bare inside it’s been extremely well renovated by HES, and thanks to the information panels they’ve installed you’ll get a good idea of what everyday life would have been like 900 years ago. Unfortunately, not all of the castle complex is in such good condition, and a large part of the original tower house is in ruin due to the fire that occurred in the 1680’s. Even so, there are enough nooks, crannies and hidey-holes that kids will undoubtedly start a game of hide and seek as soon as they get near it. Once you’ve had your fill of the old buildings you can head out into the two gardens, both of which offer a nice walk. 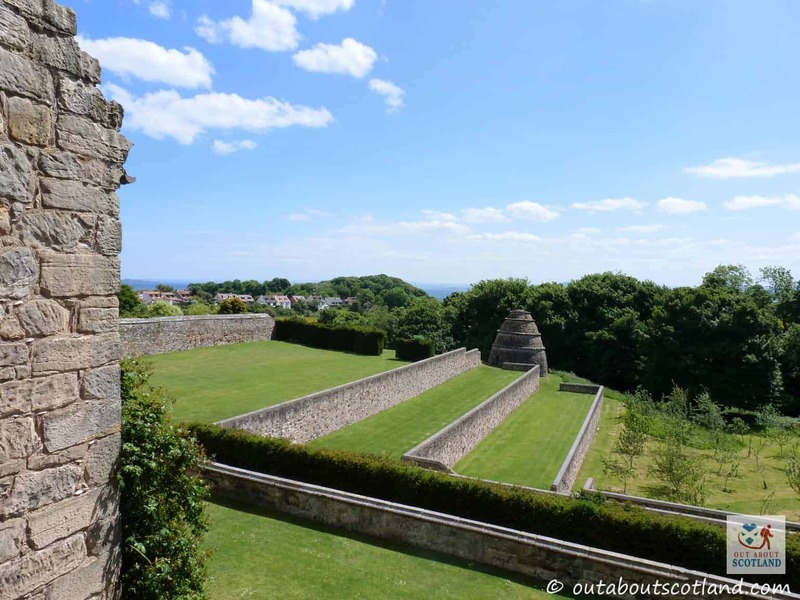 The terraced garden is formed by four L-shaped levels which descend down in steps towards the Firth of Forth, but it’s the upper terrace where you’ll find the enormous beehive shaped dovecote that was once used to keep the pigeons that fed the castle’s occupants. This dovecot is enormous, one of the biggest I’ve seen, and apparently there are over 600 stone nesting boxes inside! They must have really like pigeons back in the day. *A haar is a Scots word for a thick cold mist that rolls inland off a body of water – as frequently happens along the Firth of Forth. 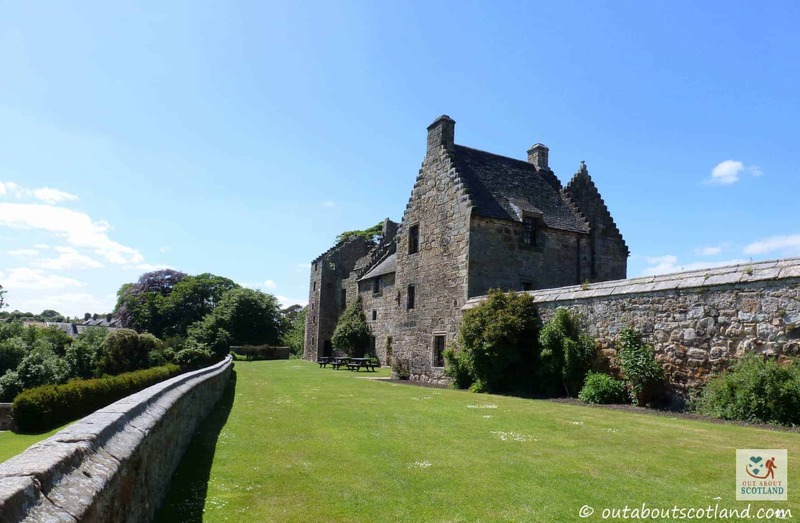 The very earliest section of the castle is the hall house which is believed to have been built in the 1100’s by Sir Alan de Mortimer who acquired the barony of Aberdour in the early part of the century. Although there’s no record of what became of the de Mortimers we do at least know that Robert the Bruce granted Aberdour to Thomas Randolph, the Earl of Moray, in 1325 as a gift to the Earl for his service during the Scottish wars of independence. The Randolph’s kept Aberdour in their possession for the next two generations until they granted it to Sir William Douglas in 1351. At this time Sir Douglas already had a residence in Dalkeith near Edinburgh so Aberdour was used only as a secondary home, but the rising power of the Douglas’s meant that they could afford to expand on the original tower house by building new stair towers and an extension in the south block. 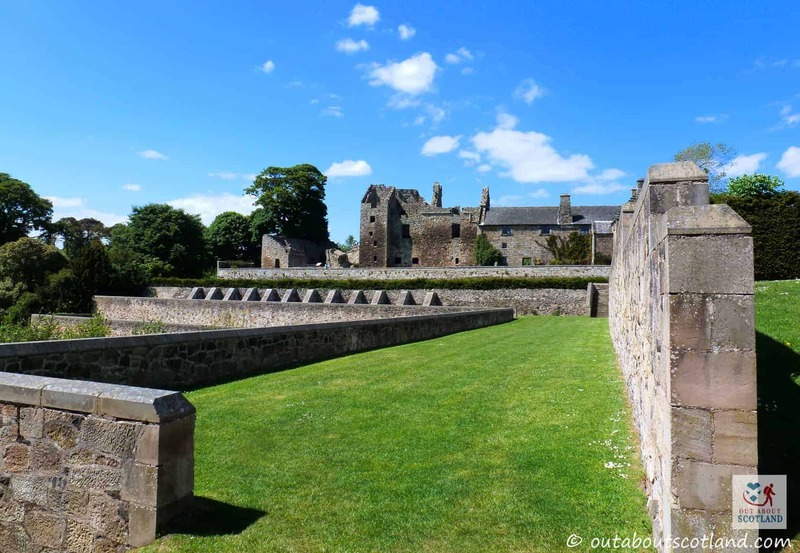 The Douglas’s continued to use Aberdour as a joint seat of barony alongside Dalkeith for several hundred years, and with their increasing fortune came even more extensions to the castle, including the central range built in the 1500’s and the east range built in the 1600’s. The decline of the Douglas family began with William Douglas in the 17th-century when mounting interest from loans caused the family to come into financial difficulty. After a catastrophic fire broke out in 1688 the family found themselves unable to completely repair the buildings, and so in 1725 they finally moved out and left the castle to fall into disarray. 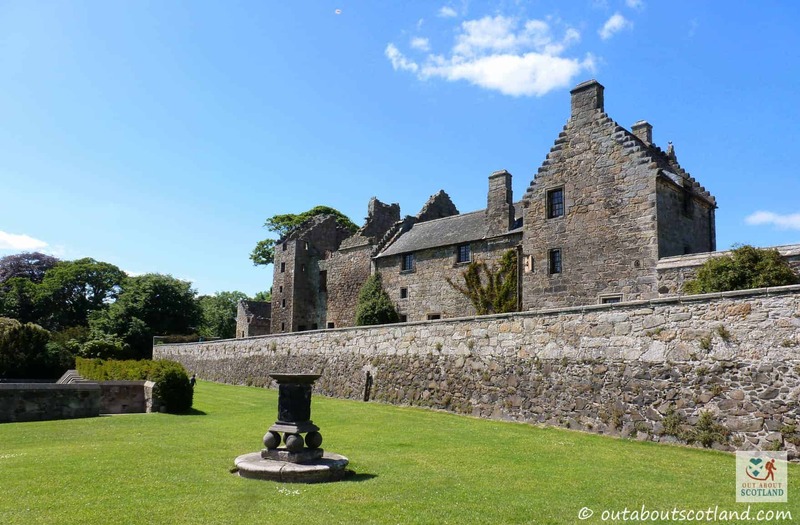 Thankfully Aberdour was placed into state care in the early 1900’s and it’s now listed as a Category A building which means that it has the highest level of protection possible for a historic building in Scotland.